An extrusion alloy that is heat treatable for strengthening. H4 direct plug-in replacement, no extra wiring required. Saves up time. 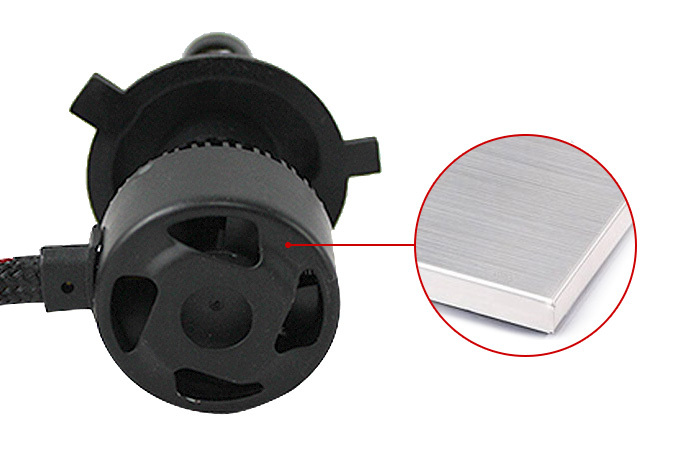 4 sides and 360° LED emitting feature, emitting a super bright and clear beam pattern without any dark spots. 8000LM per unit and 16000LM pair. Provides bright light at a distance. The best driving vision 6500K cool white lighting without any dark spot and foggy light. 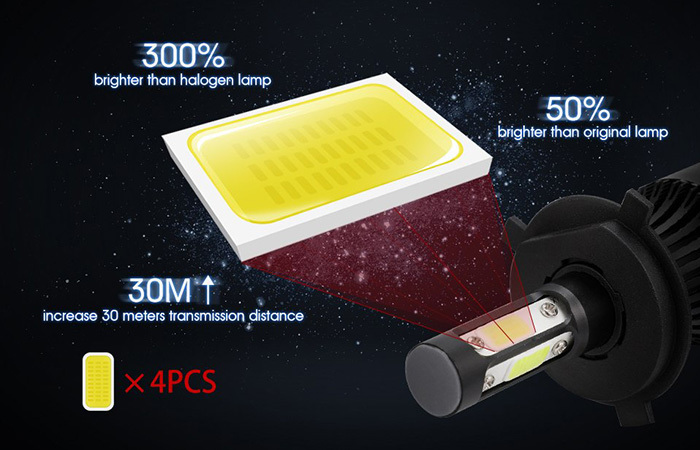 COB technology which enables a much denser LED array of light compared to SMD. Each LED light has its own cooling fan which can help them last longer. It can last up to 50,000 hours. 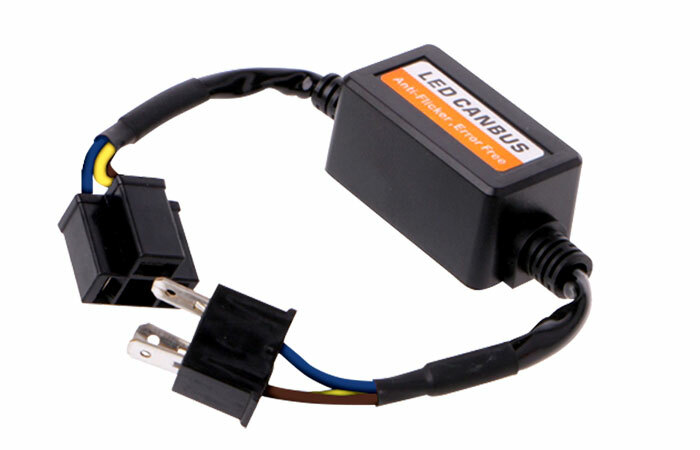 With External Canbus driver that makes this great LED Headlight Canbus Error free that can fit most vehicles. 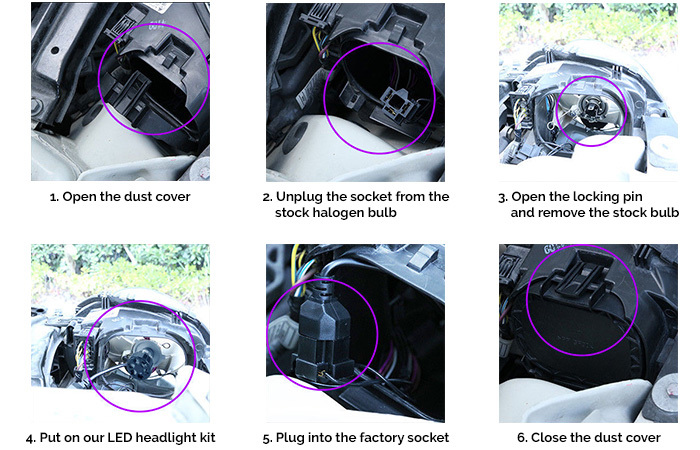 Standard 9003/HB2/H4 base, fit all cars if original factory halogen or HID bulbs is 9003/H4/HB2 base. An awesome lighting source for your night driving. This pair of LED Headlights have lumen output of 16000LM (8000LM each) providing high efficient bright light. 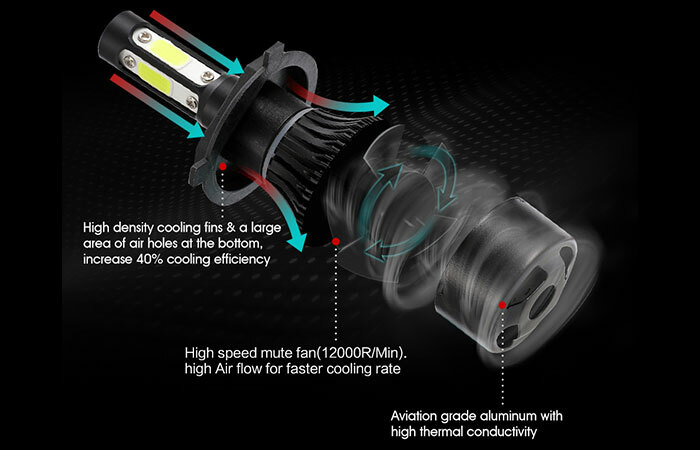 With heatsink installed, bulbs won’t heat up and it has an excellent heat-dissipation structure. Headlights can last up to 50,000 hours life. You don’t have to worry in installation process as it is direct plug-in replacement with no extra wiring required. 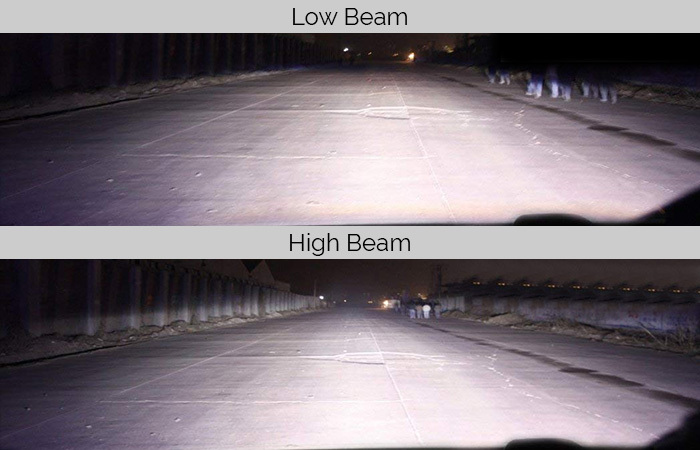 This set of LED headlights has dual beam: high beam or low beam. A pleasant white light, sharp around the corners. 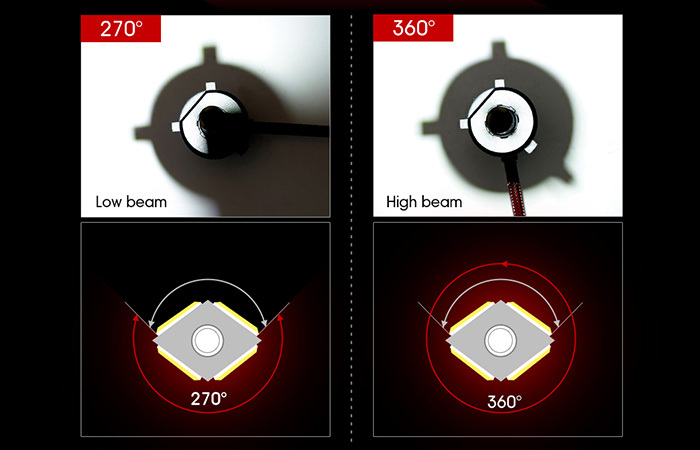 Headlight has 4-Sides LED Lighting and 360° LED emitting feature, emitting a super bright and clear beam pattern without any dark spots. 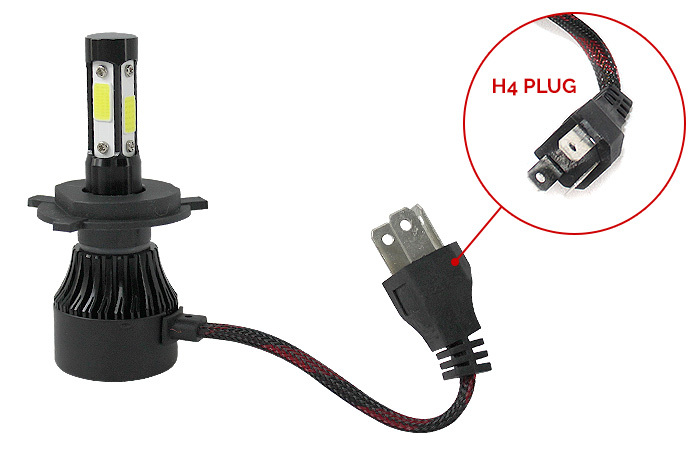 These LED Headlights are good replacement for Halogen Xenon bulbs as you can save up more energy and even on money. 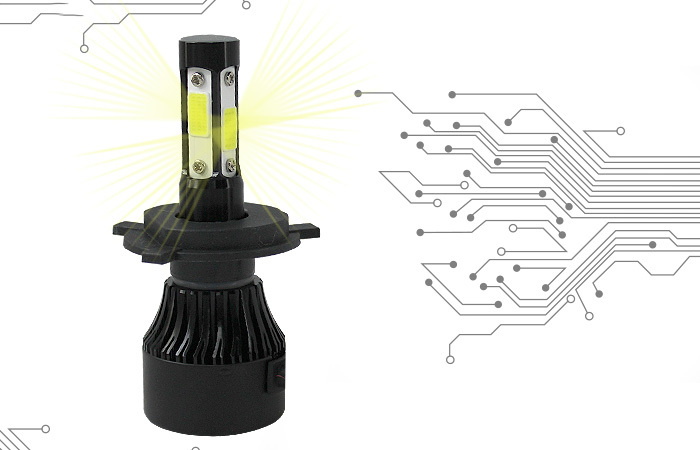 It comes with External canbus driver that makes this great LED Headlight canbus Error free that can fit most vehicles and with Standard 9003/HB2/H4 base, fit all cars if original factory halogen or hid bulbs. Completely waterproof, rainproof, and work in extreme weather conditions. To keep the back of these bulbs in operating temperature. 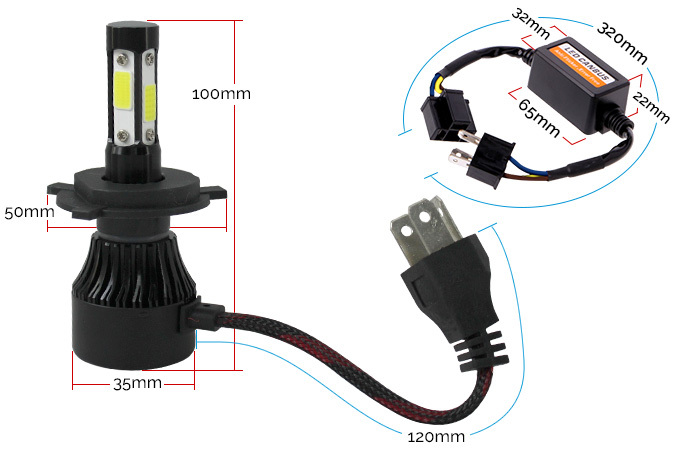 H4/HB2/9003 LED Car Headlight Kit - Standard 9003/HB2/H4 base, fit all cars if original factory halogen or hid bulbs is 9003/H4/HB2 base.